Mosquitoes are a nuisance we've all dealt with, especially in the summer. Some mosquitoes in New Jersey are particularly dangerous, like the Asian Tiger Mosquito, which is capable of transmitting the West Nile Virus, dengue fever, and other diseases. Many species of mosquitoes are capable of transmitting canine heartworm. Of course, all of New Jersey's many species of mosquitoes qualify as major nuisances, annoying you, your family, and guests as soon as you step out to enjoy your backyard. 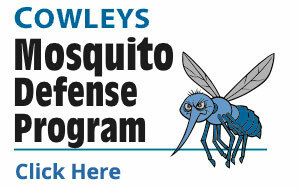 Take back your yard with the Cowley's Mosquito Defense Program. Whether you're trying to enjoy your yard or having a family reunion, wedding, or other special events, those party-crashing kamikaze mosquitoes are determined to ruin your affair. However, with our mosquito treatment program, their lifespan and rude behavior will be short-lived. If you want to be rid of mosquitoes and other pests in your Mercer, Ocean, Monmouth, Middlesex County yard, call Cowleys Pest Services today for a free estimate! How can Cowleys resolve your mosquito problem? Cowleys Pest Services, serving Monmouth, Ocean, Middlesex, and Mercer Counties for over two decades, offers the best in professional mosquito protection. After researching all of the available mosquito control programs for their track record and proven level of effectiveness, we chose Syngenta®. This company is a global leader in mosquito control, supports the World Health Organization and other partners around the world, and is committed to reducing the threat of mosquitoes and improve the quality of health and life for people everywhere. At the global level, mosquitoes that transmit malaria inflict more human misery than any other insect bar none. Syngenta® has been entrusted to reduce mosquito populations in some of the most challenging areas of the world. Cowleys is proud to offer Demand CS, bringing their state-of-the-art technology, right to your backyard in New Jersey. Our treatments will help reduce your property’s mosquito population, and the accompanying buzzing and biting that drives you indoors. We're confident that you’ll find Syngenta®’s formulation to be superior based on independent scientific studies, not marketing claims. Its worldwide usage and approval by World Health Organization speaks volumes. Demand CS features patented iCAP™ technology. Using multiple-sized microcaps and a unique capsule structure, this technology protects its active ingredient from conditions that could degrade its effectiveness, including UV rays and pH extremes. No other microcapsule formulation on the market matches the efficacy of iCAP technology. To give you an idea of the “micro” size of these microcapsules, at recommended use rates, more than 10,000 capsules cover only one square inch of treated surface! 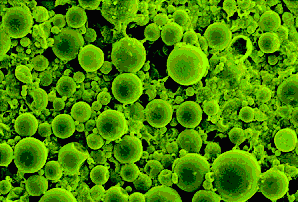 Multiple-sized microcaps optimize release of the active ingredient. 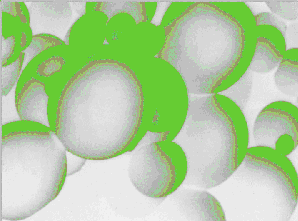 The smaller microcaps release the active ingredient quickly for immediate control, while the larger ones remain intact, releasing the active ingredient later. When a mosquito comes into contact with Demand CS, the active ingredient is either absorbed through its cuticle (its exoskeleton) or ingested. Either way, the mosquito is killed. This process repeats itself hundreds of times or more over a short time span. With this mosquito-killing technology, it’s no surprise that Demand CS is up to 20 times more effective than other formulations on the market. If your property is a mosquito breeding ground, it affects not only you but also your entire neighborhood. How do you stop inadvertently breeding mosquitoes on your property? Get rid of standing water! Mosquitoes require water to complete their lifecycle. If there is no water, there is no breeding opportunity. Any kind of wet area or standing water will do, including birdbaths, discarded tires, cans, and other containers. In fact, even a tiny bottle cap collects enough water for a mosquito to lay its eggs. Removing standing water is a key for mosquito control, and the tips and tricks listed below can help you stay ahead of the game. Inspect your home for leaks and have them repaired. Common sources are roof leaks and leaks from faucets and air conditioners. Throw away or store any containers that can accumulate water. Flip them upside down when not in use. Clean gutters frequently. Debris can clog and prevent water flow, causing gutters to fill up with standing water. Clean your swimming pool regularly and keep it chlorinated. Check pool covers for standing water as well. Sometimes water can't be drained. Your yard may have a birdbath, koi pond, swimming pool, or hot tub. As part of our mosquito control program, we offer effective solutions to keep your outdoor water safe and mosquito-free. Why do mosquitoes even bite in the first place? At Cowleys Pest Services, our customers often ask us why mosquitoes even bother biting us in the first place. We would all agree that the world would be better off if there weren't mosquitoes. With no mosquitoes, malaria, the greatest source of human misery caused by any one insect, would be wiped off the planet. At a local level, our pets would not risk contracting deadly heartworm, and homeowners like you would be spared the annoyance of buzzing, biting mosquitoes. Unfortunately, that is not the case. Mosquitoes are not parasites like ticks, bed bugs and other insects that are exclusive blood feeders. Like most insects, mosquitoes rely on sugar for energy, obtaining it from plant nectar and plant juices. In fact, male mosquitoes don’t bite at all. It’s only the female mosquitoes that bother us, as they need blood to develop fertile eggs. From this blood meal, the female extracts all of the proteins and nutrients needed to produce up to 300 eggs at a time. Much like ticks, mosquitoes can transfer a variety of blood-borne diseases from one host to another. Ticks and mosquitoes are known as disease vectors by biologists because they transfer diseases through their feeding activities. These biting insects act as middlemen, transferring the infected blood of an animal host to some other victim, which may be a human or a pet. In New Jersey, deer ticks are the most publicized disease vectors, transmitting thousands of cases of Lyme disease every year. However, infected mosquitoes in our state can transmit encephalitis viruses, including Eastern Equine Encephalitis (EEE) and West Nile Virus, Zika virus, as well as heartworm to our pets. Mosquitoes are a nuisance for everyone and can pose serious health risks to your family and your pets. Don't wait to rid your yard of mosquitoes! If mosquitoes on your property are causing you concern, call or contact Cowleys Pest Services today for a thorough inspection and a free estimate. We proudly serve in Lakewood, Woodbridge, Edison, Brick, Toms River, Piscataway, Trenton, Middletown, Princeton Junction, Old Bridge, and throughout the nearby areas.